The science of biotechnology is galloping forward. For much of 2018, capital markets for biotech investment were strong. Some 53 biotech companies went public with more than $5.4 billion in funding, putting the biotech industry on track for the second-best year for IPOs in a decade. And venture capital was being invested in biotech companies at a brisk clip. Until election season, investors had reacted positively to the Food and Drug Administration’s streamlining of the drug development process and the announcement of a slew of innovative biopharmaceutical advances. Perhaps most exciting was the FDA’s first approval of a drug in an entire new class based on RNA interference — a breakthrough in our understanding of how genes are regulated in cells. What’s more, the biopharma industry successfully championed innovation as the best long-term solution to the national opioid crisis — the deadliest U.S. public health emergency in generations. In October, Congress passed comprehensive opioid legislation in an overwhelming bipartisan vote. Through a yearlong campaign, the Biotechnology Innovation Organization successfully pushed lawmakers to support new policies that will help encourage the development of nonaddictive painkillers and new medications to wean Americans off of addictive ­substances. But the fall also brought the announcement of significant proposed changes in how the U.S. pays for drugs, which, if implemented, could chill investment in biomedical innovation. Two weeks before the midterm elections, a decision by the Trump administration erased an enormous chunk of the year’s investment gains in the biotech sector. Health and Human Services Secretary Alex Azar announced a dangerous plan to abandon the country’s market-based approach to pricing injectable drugs in favor of socialist price controls under Medicare Part B. The NASDAQ Biotech Index had its biggest one-day drop in seven years when President Trump announced his plan to lower drug prices in Medicare by tying what the U.S. government pays for biologic medicines to what foreign countries such as Greece pay via their single-payer health care systems. This plan effectively imports foreign price controls into the U.S. health care system, undermining the precision medicine revolution by starving innovators of needed capital. Indeed, global biopharmaceutical companies lost $97 billion in a single day when news of the president’s plan hit. Trump touted his foreign reference pricing scheme on the campaign trail in an effort to demonstrate he is getting tough on drug makers. However, the administration’s plan does little for patients struggling with high out-of-pocket costs. Importing foreign price controls lowers costs for payers, not patients. If an insurance company requires a $2,000 deductible, it doesn’t matter if the government cuts the price of an $8,000 drug down to $4,000. The patient still must pay the $2,000 deductible at the pharmacy counter. Without explicit requirements that savings be passed on to patients, none will be. The price controls announcement follows another troubling decision in August that the U.S. will end its long-standing prohibition on step therapy in Medicare Advantage. Step therapy is a common drug utilization management tool used by insurance companies, requiring patients to “fail first” on lower-cost medicines before they can get coverage for more effective, costlier treatment. Step therapy practices have become more common, according to a recent analysis; U.S. commercial plans now include step therapy protocols for roughly one in four coverage decisions for costlier specialty drugs. Without any public input, the Centers for Medicare and Medicaid Services (CMS) announced changes allowing Medicare Advantage plans to impose step therapy protocols on seniors seeking injectable medicines covered by Medicare Part B. In 2019, patients will be at the mercy of a short-sighted policy that is being implemented without transparency, proper oversight or adequate patient protections. Under a fail-first approach, it can take weeks, even months, for patients to access the therapy deemed most appropriate by their doctor. This can have life-threatening consequences for patients seeking access to needed treatments such as chemotherapy. A disease can progress rapidly without the right treatment, decreasing survival rates. One study demonstrated that a medication delay of just three months can lower the five-year survival rate for breast cancer patients by 12%. Patients may also be forced to undergo other burdensome and costly care such as unnecessary surgeries to try to regain quality of life compromised by step therapy’s insistence that saving money is more important than saving lives. On Election Day, the Democratic Party secured its largest pickup of seats in the House of Representatives since the aftermath of the Watergate scandal. The 2018 midterms produced the highest voter turnout of any midterm election since 1966. Health care played a significant role in the election, as more than 80% of respondents to a Gallup poll said that health care was extremely or very important to their vote, making it the No. 1 issue above the economy and immigration. A Democratic House may find common ground with the White House on prescription drug pricing. But given that Congress is divided with a Republican-controlled Senate, we may see gridlock on many of these issues at the federal level. This will push more health care policy activity to the state level, especially with more Democratic legislatures and governorships. The year ahead has the potential to be politically turbulent for the biopharmaceutical sector, as life sciences companies and their supporters scramble to prevent further policy changes that threaten incentives to innovate within our health care ecosystem. The good news is that the science of biotechnology is galloping forward. We have seen the first FDA-approved gene therapies enter the commercial marketplace, which has spurred further investment in many emerging gene therapy companies. There are more than 80 gene therapies and 46 CAR-T medicines in the pipeline, with hundreds more in preclinical development. FDA Commissioner Scott Gottlieb expects the FDA to approve 40 gene therapies by 2022, including several in 2019. The more than 4 million Americans who suffer peanut allergies could see the first approved treatment for their affliction in 2019. After several months of escalating doses, these treatments aim to desensitize patients to peanut allergens and protect them from accidental ingestion. Other key late-stage drugs are projected by analysts to hit the market in 2019 that represent significant upgrades to standards of care and address critical unmet needs. Taking scientific discoveries and transforming them into cures for debilitating diseases is one of hardest, most expensive and most important enterprises in the world. This requires savvy investors to risk their money on the work of brilliant scientists determined to make the lives of millions better. A new generation of innovative medicines is here, and we must all work together to help foster a policy environment that puts patients first and encourages the development of the precision therapies and curative breakthroughs of the future. 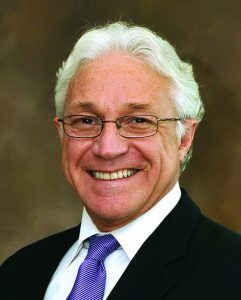 Jim Greenwood is the president and chief executive officer of the Biotechnology Innovation Organization.